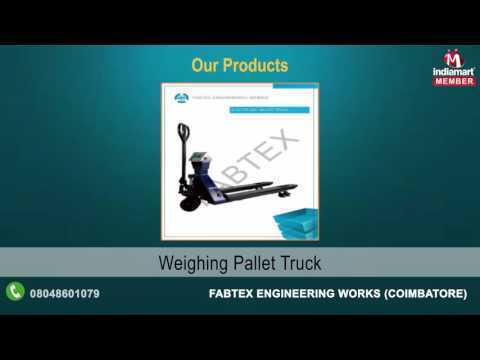 We, Fabtex Engineering Works established in the year 1993, are leading manufacturer, supplier, trader and exporter of Textile Machines. Our offered extent of products comprises of Hydraulic Bailing Press, Reeling Machine and Honed Tube. These offered machines are used widely because of high wear resistance, little damage for high-speed yarn and low friction coefficient. For more than a decade since its founding, has been using latest technologies to provide advanced machinery to the textile industry that has long been its core business area. known for providing best quality products at most reasonable prices.